Classes & Curriculum | Martin Martial Arts and Self Defense Inc.
Martin Martial Arts is dedicated to placing each and every student in a class that best fits his/her individual learning level and abilities. We teach students from 4 years of age to adult. Martin Martial Arts focuses on teaching traditional Tae Kwon Do along with respect, confidence, perseverance, determination, discipline, and self control. 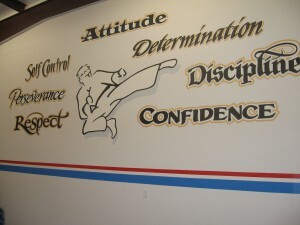 Everyone at Martin Martial Arts takes pride in our school and our students. We are here to help our students become better citizens and the best martial artists they can be.